One of the many reoccurring issues I hear with parents are the “pains” and struggles on how to communicate with their teen. Whether it’s with big issues or just simply having a normal conversation, parents or any adult with a teen in their life feel like they can’t connect with this generation at all. The sad part is, people just stop trying. Teenagers end up for the most part getting ignored. Unfortunately, this leaves a whole generation getting lead by the wrong influences and desperate to be heard. Now I have to say this because this is the internet and I don’t know who is reading this but this is in the context of having a healthy and appropriate relationship with teens. Teens are in an interesting place and it’s what I call “teen purgatory”. They aren’t exactly a child anymore and many people don’t consider them an adult so people don’t know how to treat them. Let me make it easy for you, treat them with the respect of an adult but with the filter of a child. This simply means watch what you say around them because they are still very much influenced and if you’re think they’re not listening, you’re wrong. They most definitely are! When it comes to having a conversation with anyone, timing is everything. Usually I have found right after school is a great time to talk, right before bedtime, or in the car. 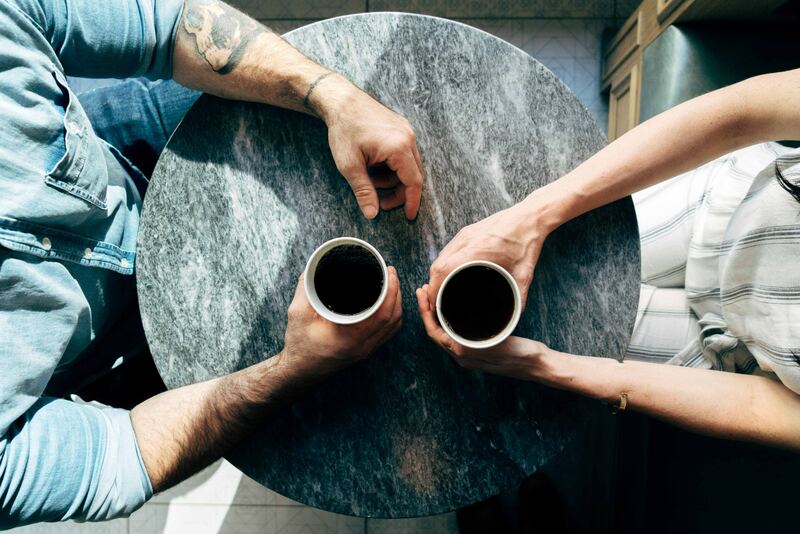 If you are a friend, Youth Pastor or Youth Leader, then of course the times you meet will be the best or setting up a coffee date. The whens and the wheres are going to look different for everyone. 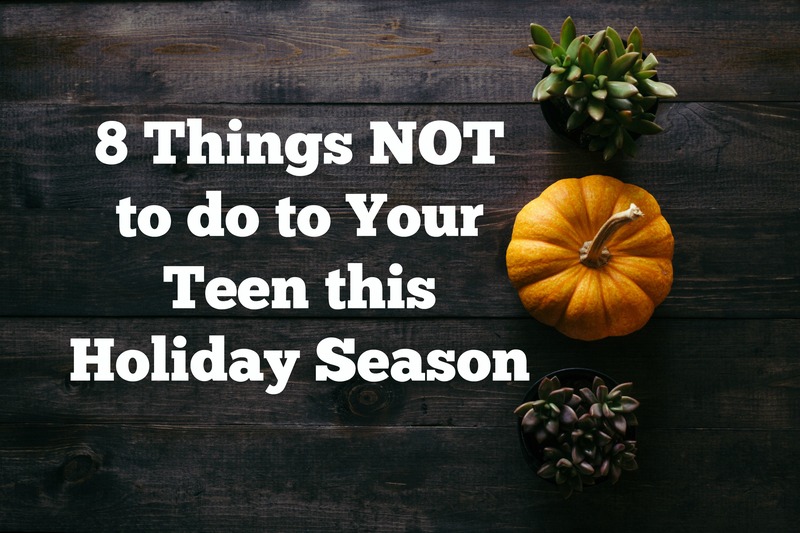 Keep an eye out and take note for when your teen seems the most open to talk. They are definitely those windows of opportunity so grab hold of them. Also, be on the lookout for when it’s not a good time to talk. Now you may be thinking or feeling like, “Well that’s all the time!” and this may or may not be the case but the reality is everyone has off moments and we learn to steer clear of them. Teens are no different. Remember, it’s okay if there are times where your teen needs a moment. 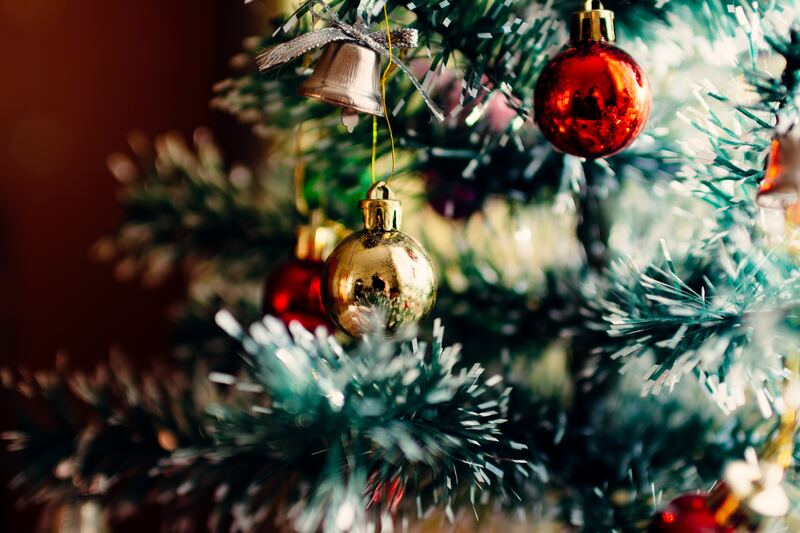 My own teen daughter will let me know, “Mom, now is not a good time…just give me a few minutes.” Give them that time but schedule a time for later so this doesn’t become a habit to just get you away. 2) Create space for communication. In the world of technology and how it is today, we can all get lost in our phones or computers. By creating a space for communication by eliminating distractions can help everyone focus in on each other and give each other space for natural conversation to ensue. Even playing a board game together, is more effective than sitting with everyone on their phones. It allows everyone to get to know each other on a fun competitive level and creates memories for years to come. Tip within a tip: Teens still love to play board games. Another option is to have family meetings where everyone can come with their concerns and talk about what’s going on. This allows a safe sounding board where they feel comfortable in saying what’s been on their mind. For instance, in our house we have kids in all different stages so my teenager may feel neglected and this is the space where she can say so. This allows us to make it more of a point to include her or set aside more time for her during the week. I suggest a weekly family meeting because as time goes on they will experience the safety and trust in that space allowing them to open up more and more. Tip within a tip: If you title sharing concerns as “prayer requests” I have found teens are more open to share because it supernaturally releases the burden into the hands of an Almighty King. 3) Give compliments or suggestions not insults. Oftentimes as parents, we are so consumed with the “work” of parenting that we forget they are a person who has feelings and insecurities. Try having a conversation where you aren’t nit picking what they are doing or asking them about certain areas on their body they are having teen issues with. Who wants to have a conversation with someone who constantly points out what’s wrong with them?! I know I don’t! Allow them to come as they are and be free in your presence. Tip within a tip: Suggest when they ask. For instance, if they are having skin issues, wait for them to come to you for help and then give them your advice. Side Note: This doesn’t include situations that are a harm to them or others. Obviously, if you notice your teen hasn’t been eating or are severely depressed then we are called to step in and say something. As always, ask the Holy Spirit for guidance. Also, we can provide information without being rude. For instance, if my daughter would attempt to walk out of the house with a see-through shirt on I would say, “If you want to wear that shirt, you need to put a tank top underneath it because I don’t know if you know this (give them the benefit of the doubt) but I can see through your shirt.” She honestly may not know. Sometimes even as a woman now, I may not know my shirt is see through unless it’s in a certain light. However, if our aim is to just insult, embarrass, or harass our teen, then we close the door to healthy communication. Also, compliment! One of the fastest way to a teen’s heart is to compliment. If you like their sneakers, say so. If you like the color of their hair, say so! They have so many insecurities that when you point out great things about them you can literally see them soften and lighten up around you. Fluff their feathers! The world is so busy trying to pluck them out. Big conversations happen through the small ones. Adults want to avoid teenage “drama” at all costs. However, what people don’t realize is when they can trust you with their “drama” then they can trust you with more sensitive issues. Also, stop considering it drama. Think of it as little windows into their life that they are allowing you in to. Take advantage because if they notice you don’t care or are annoyed with it, they will close that door and move on. 5) Create a daily check-in. With teenagers, the more consistent you are the more they believe you care. Now I know our first instinct is to say, “Well they should know I care! Don’t they see everything I do for them? !” Unfortunately, they may not. Teenagers are bullied in various degrees, hold tight to deep insecurities, and have to deal with the world telling them everything they are not. They can be so consumed with these things that it can be hard to see or experience the care you are providing to them. All of this to say, check in with them every single day. Call, text, Facetime, sit down on their bed, and have a conversation. Even though technology can definitely have its negative attributes, there is an upside to it and that’s being able to communicate with your teen from pretty much anywhere. 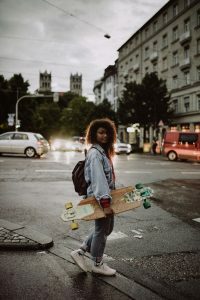 Whether it’s your lunch break, you are overseas, on the way home from work (obviously don’t text and drive), you can find or purposefully make a window where you can peer into your teenager’s heart and show them you are there. 6) Speak with respect and a filter. Like I said in the beginning, you want to talk to your teen with respect yet with the filter of a child. Teens are to be treated with respect. If the answer is “NO”, then change the way you talk. Teens are no different. Unfortunately, in many cultures talking down to your teen encourages respect and affirmation from other adults. At what cost?! Your teen diving deep into depression and drugs to heal from hurtful words from a source (YOU) that is supposed to love them unconditionally? Another thing is that adults make the mistake of making crude sexually explicit jokes, cursing, or attempt to connect in all the wrong ways. This is where the filter of a child comes in. Don’t start dropping F-bombs while conversing with a teen because you think it’s cool. Talk to them like you would if Jesus was standing right next to you. The reality is they will cringe at your words and steer clear of awkward conversation at all costs. Communication can make or break any relationship. It’s our duty and calling to work at it even if we never had the best example. Our love for Jesus Christ and His work done on the cross eliminates all excuses for not having the right resource to do so. He is our Ultimate Resource and when we ask for help, you better believe He will show up and show off in you and your teen’s life. I pray these tips will help close the gap between you and the next generation. We are called to do community together and in my experience, I know teens are longing to have healthy loving examples of what it’s like to walk this Christian life out in love, family, and everyday life. Be the person you needed when you were young to a teen in your life. These are really good. 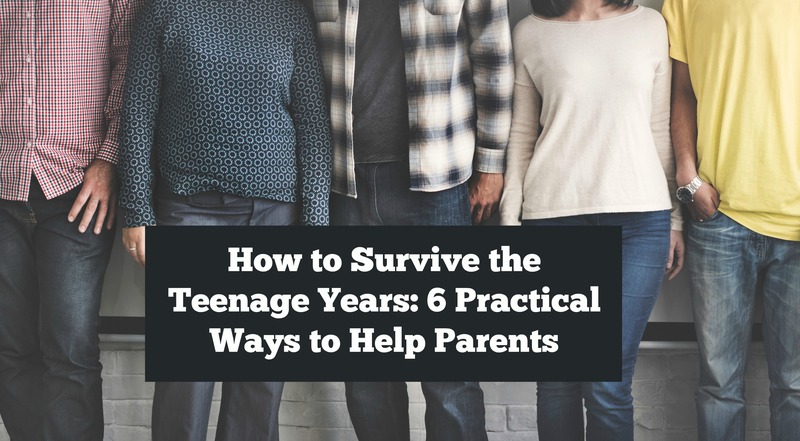 As the mom of a teen I can relate to the frustrations of parenting them. I find that is important to listen to them and try not to respond to their behavior when you are upset. Thank you so much and you’re right about not responding when you’re upset..its better to take a breath! Awww that’s amazing!! I have a great relationship with my teen so I pray I continue to be cool through college..lollol! Thanks for sharing! Thank you so much..I pray for many blessings over your home! Thank you! I agree that timing is key. I feel like my kids are initiating conversation less and less so I don’t multitask when they actually initiate a conversation with me. I want them to know that I’m very interested in what they have to say! Nina, I loved what you said about the way we talk to our teens! I think that this is so key. It’s so easy to talk to younger children and teenagers as though they are beneath us. Ugh! It’s so bad. A culture of honor can transform so much in our homes. Thank you for sharing this! You’re welcome..it’s a beautiful thing that the Lord gives us what we need..thanks for stopping by! We are trying to practice this with all family members. Awesome article. They do need you now as much as when they toddled around the living room. Thanks for the clear thoughts. You’re welcome..I pray this will help others realize teenagers are so important..thanks for stopping by! Great points Nina. It makes such a difference in our home when we speak to our teens with respect and treat them as individuals. Thanks. Thank you so much and thanks for stopping by..it definitely sets the tone for your home..Blessings! My kids are not teens yet but I am all for learning and wanting to be ready when the time comes. I feel like if I build those things now, it will be easier to do when they are older. That is 100% true. You start loving your teen before they even are one and you will see the blessings come to fruition.